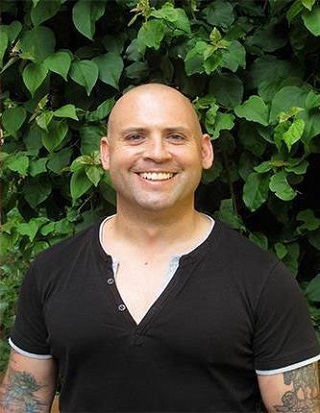 Chris Shelton is a certified practitioner and teacher with 15 years of clinical experience in Qigong, an ancient holistic health modality that combines traditional Chinese medicine with movement, breath and visualization. He’s helped thousands of people across the United States and around the world reclaim their health and enjoy lives free from chronic pain. Chris has worked with Special Olympics teams, professional martial artists, weight lifters and celebrities looking for deeper meaning in their lives. Chris’ belief in the healing powers of Qigong is rooted in first- hand experience. As a teenager he suffered from a devastating back injury that left him in constant pain and partially paralyzed. He attributes his full recovery to Qigong, a holistic approach perfect for people who want non-invasive, affordable and empowering healthcare. Chris’ work has appeared in newspapers and magazines and been featured on radio and television. He is founder of Morning Crane Healing Arts Center in San Jose, California, and the author of Qigong for Self-Refinement. Chris is often found chasing after his favorite herd of turtles: his wife, four kids and one grandkid. His second book, Ancient Medicine, Modern Miracles: Tools for Healing, Eliminating and Preventing Disease, is currently being read by publishers.